When our first monks stepped off the boat and onto the shore of the Mississippi at Saint Cloud, there wasn’t much there to greet them. There was even less when they ventured a few miles west to the site that would become Saint John’s. There were no shops, roads, churches or even a place to live. Those pioneers, like their neighbors elsewhere in Stearns County, had very little except for the dreams of what might be someday. But if they ran short on many commodities, those monks had one thing in abundance: trees. Lots and lots of trees. Trees were essential to life at Saint John’s in the early decades. 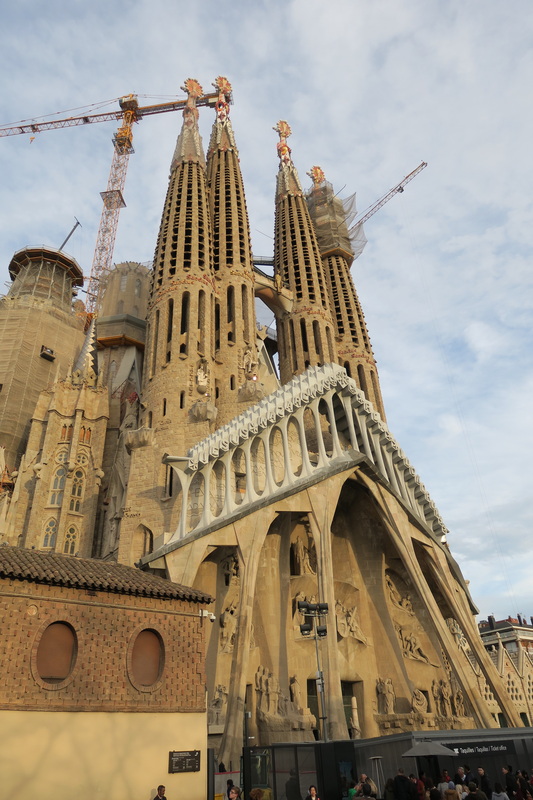 The monks used wood to put up the first buildings. They used wood to keep warm in the winter. And they used wood to make furniture. Today we don’t use much wood for warmth save for the three fireplaces that survive in the monastery. But wood remains the essential ingredient for the furniture that graces our rooms and halls. To the raw materials of wood and water and earth the first monks found at Saint John’s they applied the skills that they brought from Germany. Some we no longer practice, like shoeing horses. Nor do we really regret the loss of the cooking skills that the monks brought with them. 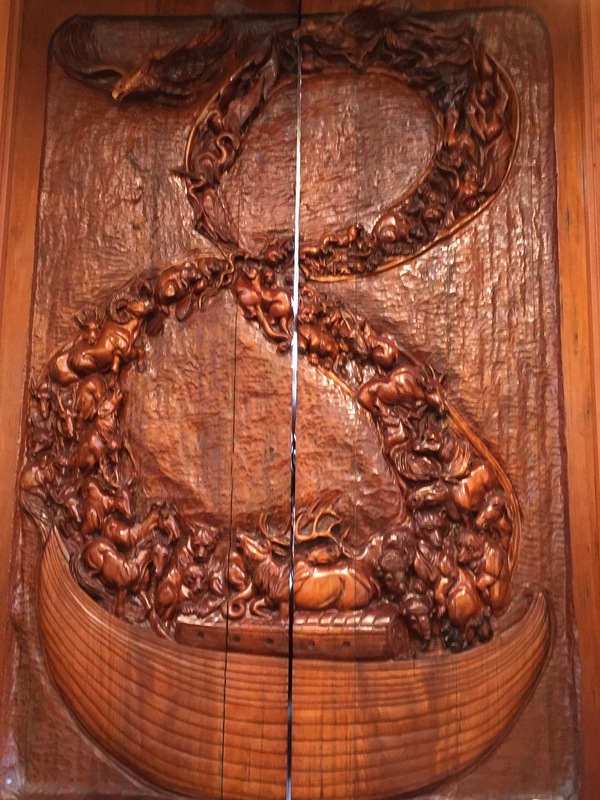 But one skill from the Old World has survived and continues to thrive at Saint John’s, and that is woodworking. 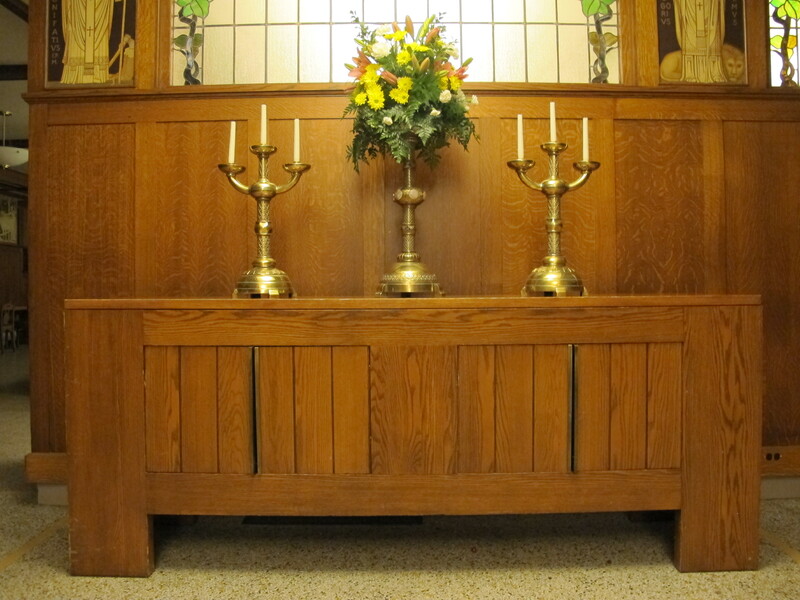 After 160 years and more, the making of furniture is an integrated project at Saint John’s. It begins with the seedlings in the forest. Some sprout naturally and some are planted, but all need protection from the relentless predation of Bambi and his relatives. They also need thinning when they crowd themselves. Finally, when the time comes for harvest or when the wind has blown down prime candidates for furniture, the logs go to a nearby Amish sawmill, where they become boards. From the mill the boards return to the lumber yard, where they cure until the need for oak or maple or cherry or pine requires them. Then they enter one end of the shop as boards and emerge at the other as completed pieces of furniture. Some are utilitarian, like the pine caskets that we make for ourselves and for sale; and some are masterpieces, like the cabinets made to house sets of the Heritage Edition of The Saint John’s Bible. 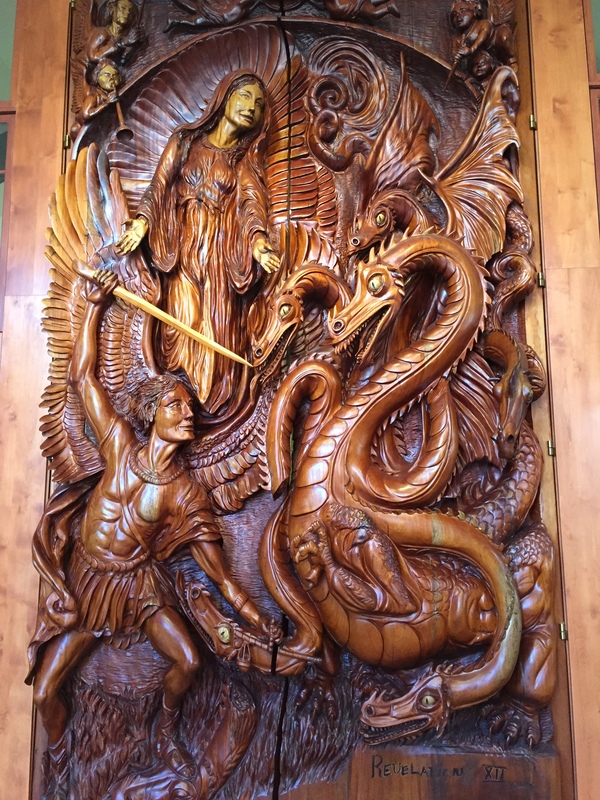 I like to think that the products from our woodworking shop are an expression of the values we draw from the Rule of Saint Benedict. There is no junk. There is no veneer. All is solid and meant to last. So it is that we take for granted pieces that have been around for a hundred years or more, and many of those still have another three or four hundred years of use in them. There’s a lot that makes a monastery a stranger to the 21st century, beginning with the 6th-century Rule we still follow. Of course we adapt it to our situation, as monks have done for centuries. 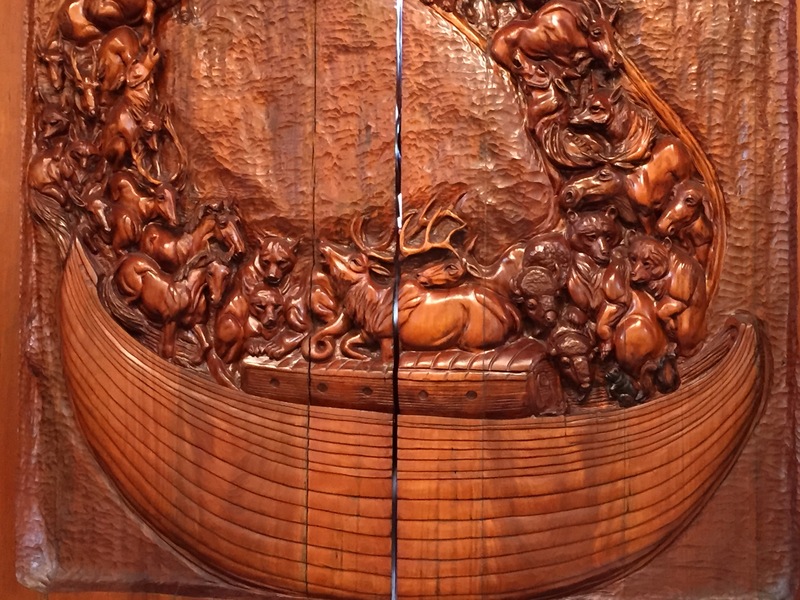 And if we’ve fallen short of Benedict’s ideal of self-sufficiency, it’s the art of woodworking that reminds us of the values we’ve inherited from him that we try to follow today. If then the monastery at times seems out of place in our age, it also stands as a prophetic witness to values worth preserving. In a throw-away culture in which machines make most everything, woodworking still benefits from the human hand that produces something of timeless beauty. And if most everything today is destined for recycling or the landfill within a few years of its creation, then something made to last for hundreds of years communicates a profound message. Like woodworking shops across the country, our shop is a reminder of the dignity and creativity of human work. Equally eloquent is what these artisans produce: something made to last for generations. All that may seem a bit strange in our day and age, but why would anyone want to aspire to anything less with their lives? 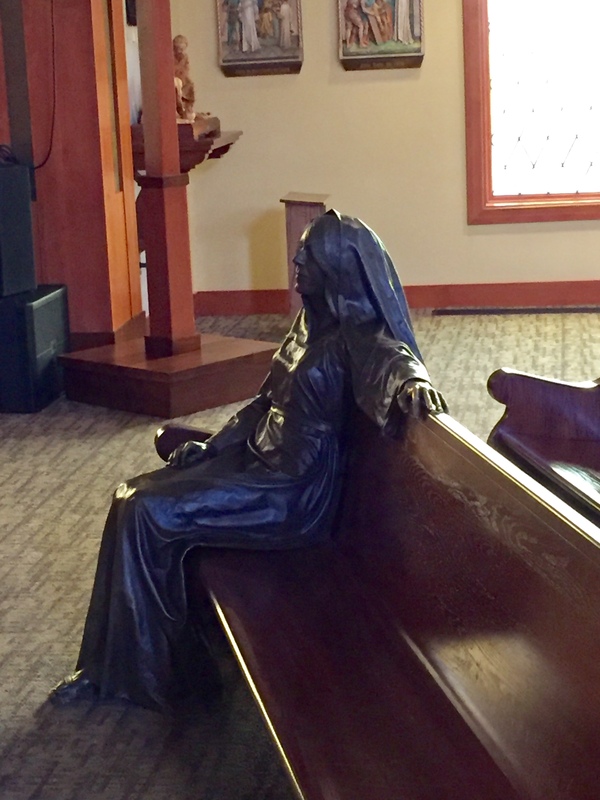 +On September 10th I presided at the funeral of Lillian Schneider, at the Church of Saint Casimir in St. Paul. Lillian was the mother of my friend Jane Hughan of San Francisco, and the occasion provided a nice opportunity to visit with her and her husband Wade. +On September 11th and 12th I hosted my two friends John and Jack, who flew from New York and Providence to visit our nine students at Saint John’s from Immokalee, FL. 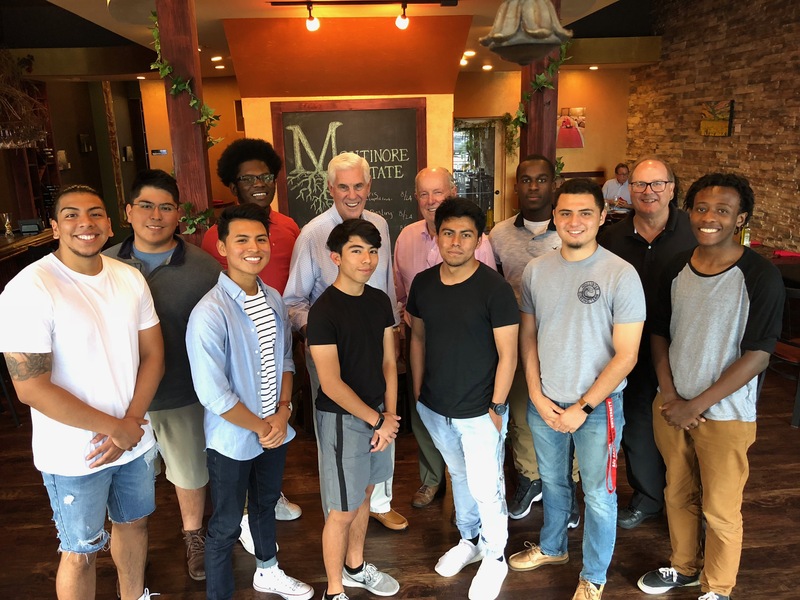 John and Jack started the scholarship program that brings them to Saint John’s, and this year marks a milestone: we now have students in all four years. The photo at bottom shows us gathered after dinner. 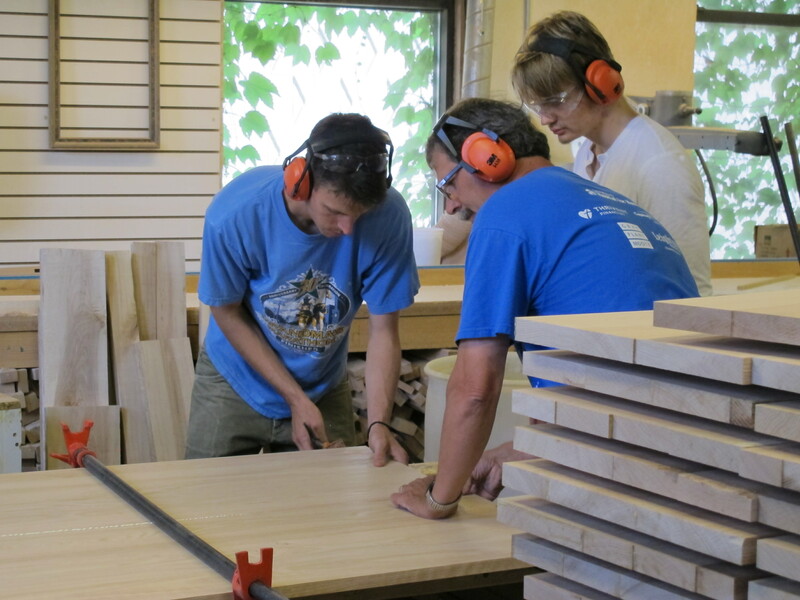 +Many people are surprised to learn that we still have an active woodworking shop at Saint John’s. In fact, it was one of the first things that the monks started up when they came to central Minnesota. Today Fr. Lew Grobe works there fulltime, alongside several long-tenured colleagues. A few other monks put in occasional stints there, as do a number of student workers from the University. 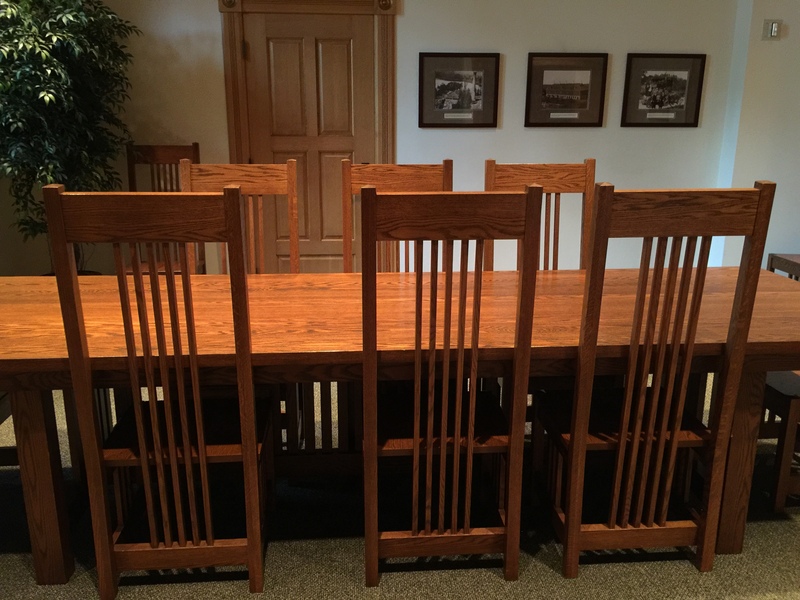 Readers interested in accessing the Abbey Woodworking Shop can reach it at this link. The site includes a range of photography showing their current work. 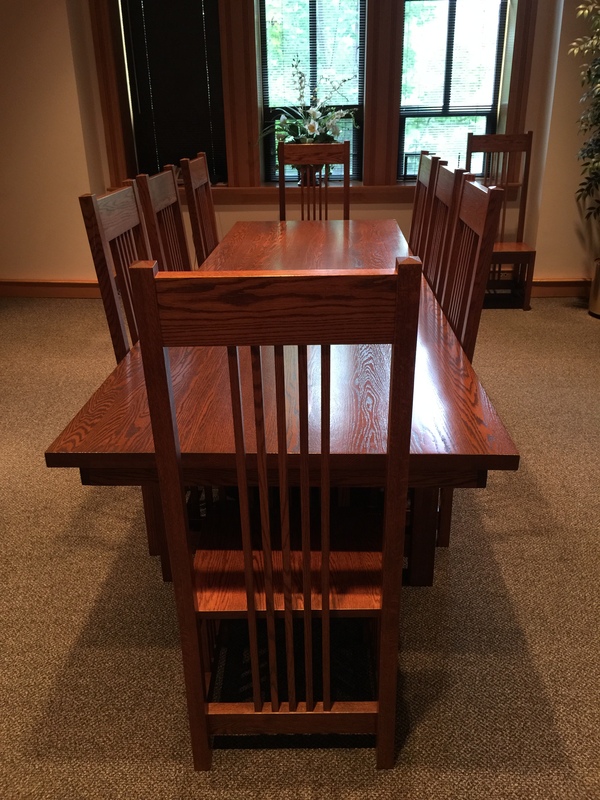 +The top three photos show pieces produced in our woodworking shop, including the table and chairs that now reside in the Heritage Room in the University Quadrangle. 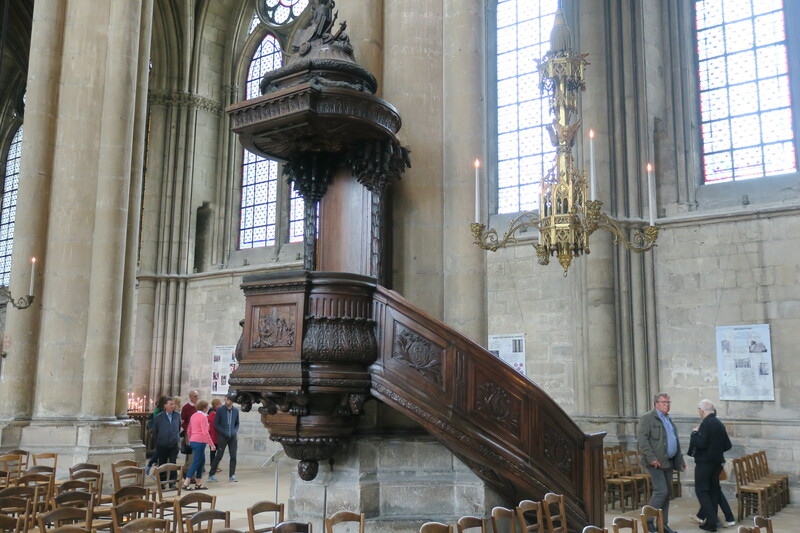 Below that is a buffet that sits in the abbey refectory. The fourth photo shows Fr. Lew (at left) with colleague Mike Roske and an unidentified student worker looking on. At bottom are our nine students who are part of the Immokalee Scholarhsip Program at Saint John’s. Please imagine this scene from II Kings, chapters 22 and 23. Propped before Hilkiah, the high priest, was a scroll that no one had opened in a very long time. Curious about his discovery, he unrolled it and began to read. And he was stunned to discover that what he had in front of him was the Book of the Law, which had been lost for as long as anyone could remember. Alarmed by its contents, he passed it on to the king, who immediately appreciated the gravity of the situation. Sworn to follow the terms of the covenant, the Israelites had in fact ignored them for at least a generation. And so, in a dramatic assembly, king and people recommitted themselves to the law from which they had strayed. I preached on this passage to my fellow monks last week, and I confess to some initial amusement as I considered what to say about it. First of all, why was Hilkiah surprised to find the Book of the Law in the temple? Where in the world did he expect to find it? Second, how long had the temple staff been looking for it? Had they been looking for it? We’ll never know; but one thing we do know. For the longest time its absence didn’t seem to bother anybody all that much. In fact, the passage leaves us to infer that the discovery was entirely serendipitous. Sadly, whatever its absence may imply about the quality of housekeeping in the temple, it does leave us to conclude that no one seemed to miss the Book of the Law. No one had been looking for it; and laws that people didn’t know about were laws that people could safely ignore. Quite likely — and not for the last time — the Israelites had gone through the motions of worship in the temple, but nothing about those visits had impacted their hearts when they left its precincts. Though Jesus never alluded to this story, he must have known about it from his reading of the scriptures. Furthermore, it meshed neatly with a theme that was a constant in his preaching. Here was the story of a dramatic conversion of king and people who outwardly had done all the right things. They had offfered bullocks and goats within the temple, but there was no connection with the lives they lived outside of the temple. Beyond the bare facts of the story, there’s material enough for a terrific parable here. It’s a parable about our ability to divorce what we do in God’s holy place from from what we do in the marketplace. In sum, it’s all too easy for us to make sure that one does not impinge upon the other. So we pay lip service to high ideals when we’re in the sanctuary, and then we securely lock them up in a metaphorical safety deposit box when we leave. We periodically return to check that they’re all still there, but we leave once again, unencumbered. That sort of hypocrisy never sat well with Jesus, and it was something he denounced on a regular basis. Time and again he urged his listeners — and by extension us — to rediscover and dust off our commitment to love God and love our neighbor. Today he still invites us to take those ideals out for a test-run around the block after we leave the sanctuary. He reminds us over and over that those two commandments are paramount — they are greater even than the blood of bulls or goats sprinkled on the altar. This is a rather sober reminder of what it means to be Christian. In fact the demands are great, because God asks of us an integrity that is sometimes a bit of a challenge. God asks that we be true to what we say we are, twenty-four hours a day, seven days a week. And so, if in the sanctuary we cry “Lord, Lord!”, then we should actively search for the Lord in our neighbor in the street. Taking our ideals out of storage and into the streets can be tough, but it’s also a joyful way of life. That explains why Jesus would say that his yoke is easy and his burden light. It’s really true. +On June 27 my friend Marianne and members of her family visited at Saint John’s, and I gave them a tour of The Saint John’s Bible Gallery. Marianne is a fellow member of the Order of Malta and now lives in New Zealand. Having grown up in San Francisco, she thought she would leave the earthquakes behind for good, only to have them show up in spades in Christchurch, where she lives. +On June 27 I presided and preached at the Abbey Mass. 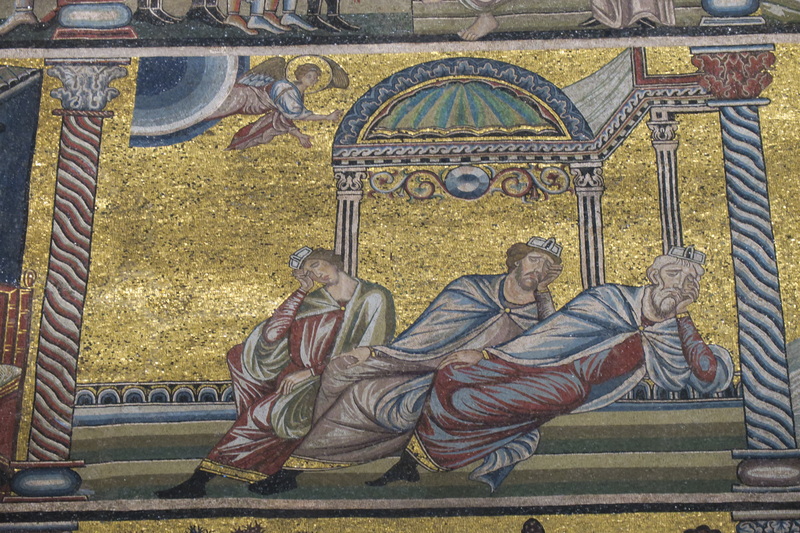 Today’s post is an expansion of that homily, based on II Kings 22-23. +After last weeks’s post about John the Baptist and the photo of the fire in our neighbor’s storage building, I got several interesting responses. First, my confrere Fr. Nickolas informed me that in parts of Europe there is a tradition of building bonfires on the feast of Saint John the Baptist. My office colleague Raj then forwarded a photo of just such a bonfire in a village in Spain. I assured both of them that our neighbor was not trying to burn down his shed in celebration of the feast. Next I heard from my friend Amy, who lives in Oklahoma City. Amy’s husband Pat, an alumnus of Saint John’s, is preparing for the diaconate, and last week he and his colleagues in the program delivered practice homilies on the feast of Saint John the Baptist. In the course of two days Amy sat through 25 homilies on Saint John the Baptist. Hopefully there was no repetition. 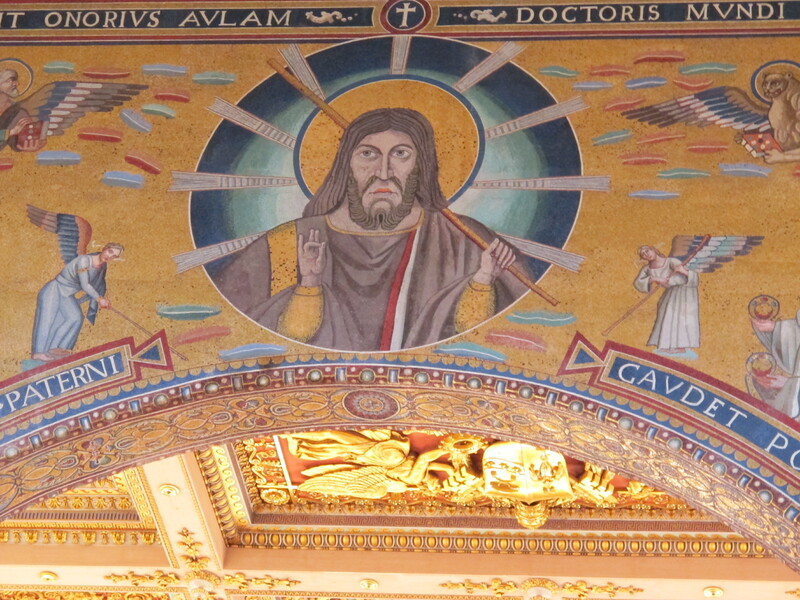 +In honor of the feast of Saints Peter and Paul, which we celebrated on June 29, I have included photos from the Basilica of Saint Paul outside the Walls in Rome. 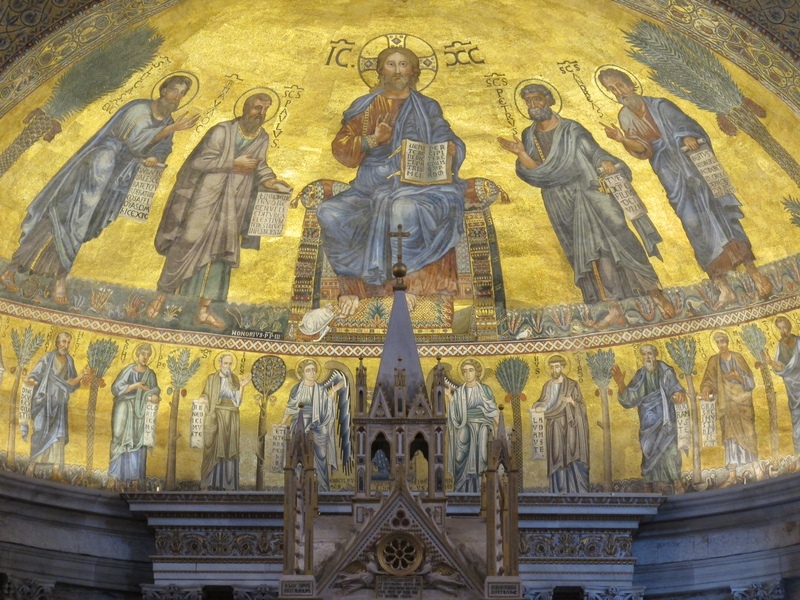 The first basilica dates to the 4th century, and after a major fire in the 19th century it was rebuilt to copy the original, and it includes many of the mosaics that had survived the fire. 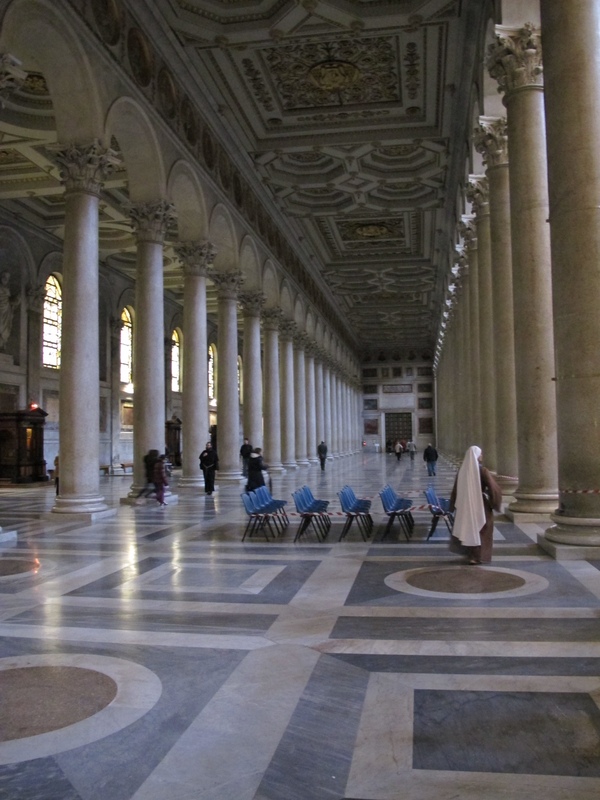 Today it remains a Benedictine abbey, and a stroll through the expansive interior is breathtaking. 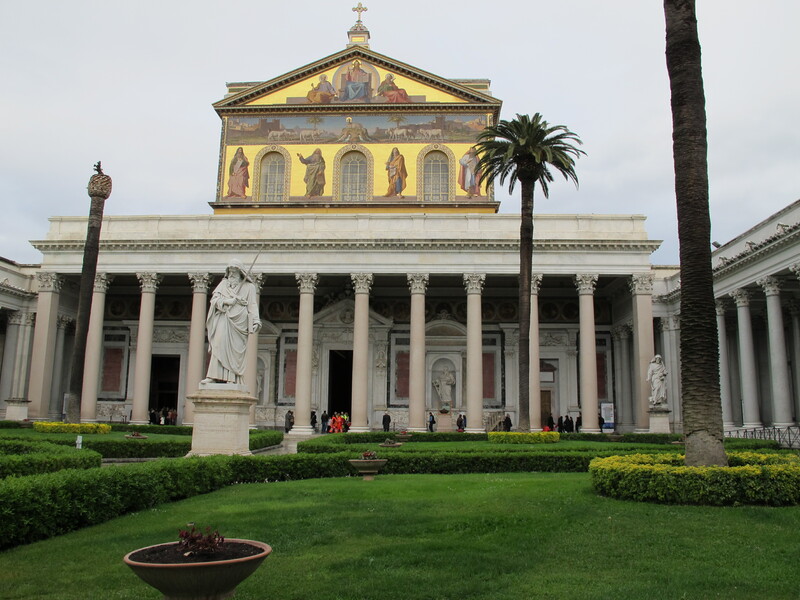 Nearly all tourists in Rome visit Saint Peter’s, but far fewer visit Saint Paul’s, which is a shame. Jesus may have sent his disciples to proclaim the gospel to the ends of the earth, but soon enough that job fell to others. 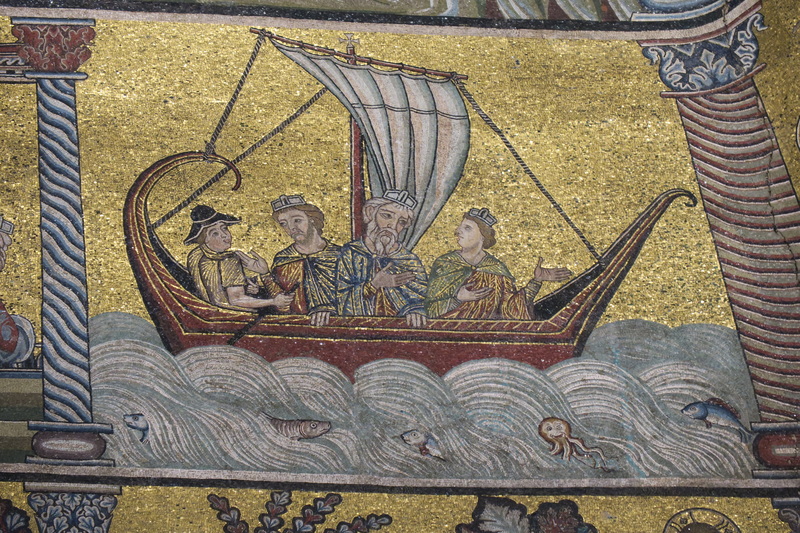 It was not long before Christian merchants and soldiers and spouses began to do the heavy lifting, and that’s how the majority of the Christian communities popped up around the Roman world and beyond. Eventually, trained missionaries stepped in, and ever since then most of us have assumed that the work of spreading the gospel belongs to the professionals. So when we read Matthew 8, as we did yesterday on Trinity Sunday, we assume that Jesus directed his words to those best qualified. He could not possibly have been thinking of us, since mission work is way above our pay grade. Of course we do support those called to that work, but we tend to excuse ourselves by noting our lack of expertise and the absence of an unshakeable faith that’s needed for that sort of work. In fact, however, Jesus actually did have us in mind when he commissioned his first followers to go out and make disciples. For one thing, there was a sense of urgency in his voice, and this was accented by one fact staring Jesus in the face. He had only eleven apostles, and that simply wasn’t enough to get the job done. Jesus needed help, and he meant us to be the ones to provide that help. But are we qualified to proclaim the gospel? Do we have the skill set that suits us for the job? Ironically, it’s some of our perceived liabilities that in fact count as strengths. A sometimes shaky faith, laced with doubts and hesitation, would seem to disqualify us. In fact that merely puts us in the same league with Peter and the apostles. Lest we forget, it was Peter who denied Jesus three times, and the entire lot of the apostles ran away when the chips were down. So we’re standing on soft soil when we excuse ourselves for lack of strong faith. And to point out the rather obvious, who is better qualified to speak with those who don’t believe? We in fact know where they’re coming from. What else qualifies us to speak of Jesus in the public forum? Frankly, I’d not thought about this until recently, but even we feeblest of believers have had at least some little experience of God. Even if not every day, there have been moments when God has gently touched our lives, and we’ve sensed the Spirit of God stirring within us. Who better to reach out to those who — like us — seek some fleeting experience of the divine? Finally, there’s an attitude that sets apart those who are suited to proclaim the gospel to the ends of their own little worlds. Perhaps it is better to specify who’s not in this group. If we are curmudgeons or negative or angry people, or if we use religion as leverage to pressure others, then we are not in that category. Such people merely reinforce the common misconception that Christians are joyless and strident human beings. Who would possibly want to become such a person? On the contrary, followers of Jesus need not wear the Christian brand on their sleeves, but the occasional brush with God should show in their daily demeanor. In the bad times of life they can be confident that the Lord walks with them and sustains them. In the good times they have an inkling that it is the Lord who bestows those blessings. But above all, such people realize that life is a gift, and quite possibly it’s a gift from God. Who then wouldn’t want such a gift? That gift shows in their faces, and what better advertising can there be for the Christian way of life? That kind of attitude shows in the face of a Christian. A Christian, in fact, has the insight to see the face of Christ in others and to be the face of Christ to those who seek him. Who is better qualified to be such an emissary for God? Thankfully, such a labor is a labor of love, and it’s a mission to which all Christians are called. 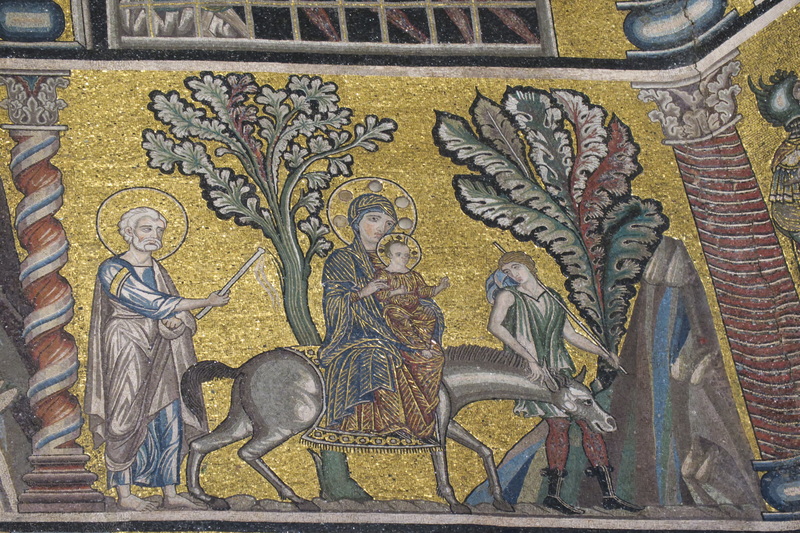 +On May 25th I gave a two-hour presentation on The Saint John’s Bible to members of the faculty and staff at the University of Notre Dame in Fremantle, Australia. Later that evening I spoke at the opening of an exhibit of Christian art, staged in the University library. That day I also had the opportunity to visit with several of our students who are doing a semester of study at the University. We’ve had this exchange relationship for eighteen years. +Fremantle is the port city of Perth, which is six hours’ flying time west of Sydney. 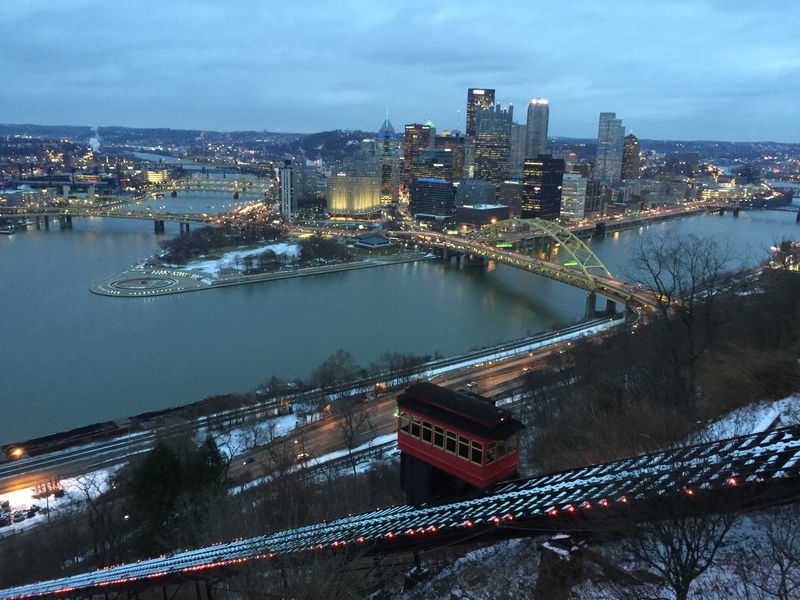 I’d never been there before, and I really did enjoy seeing what is a uniquely charming city. 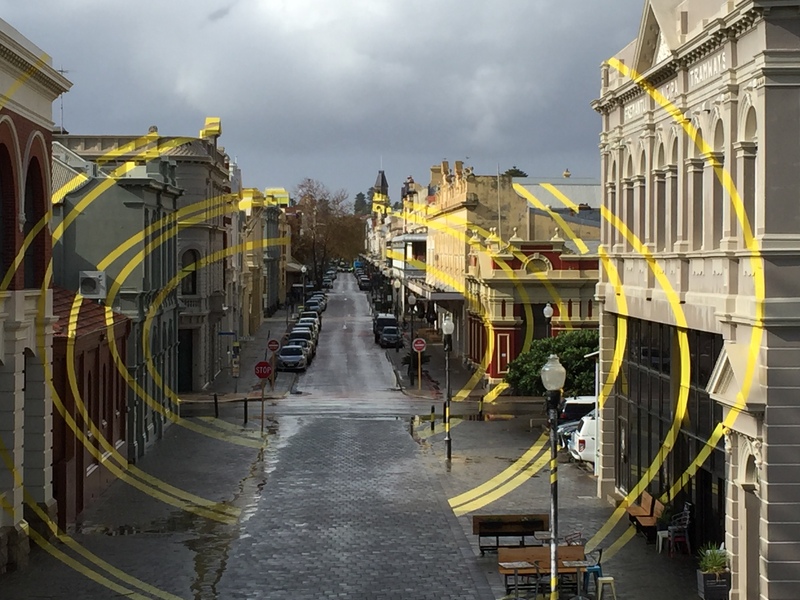 Fremantle is blessed to have at its core the largest concentration of Victorian-era buildings anywhere. It’s not gingerbread Victorian, however. After all, it was a port city. +I’m not terribly familiar with Australia, and in anticipation I read Bill Bryson’s book entitled In a Sunburned Country. In it he points out that Australia is arid and has more animals eager to kill or bite people than any other place on earth. Happily, nothing tried to bite me, and I didn’t see a single kangaroo during my short visit. Nor did I experience the aridity that Bryson writes about. On the contrary, I got caught six times in torrential rains that came in from the Indian Ocean to pound Perth. If you’ve never read anything by Bill Bryson, you might want to consider him. He’s a travel writer, and an irreverent one at that. His understatement is laugh-out-loud funny. For example, he gives an insightful explanation of the game of cricket, a game which I long ago gave up trying to understand. On the basis of a match between England and Australia that he attended, he gives some really useful information. For instance, the intensity of the inaction on the field makes it absolutely necessary to pause for lunch and drinks several times in the course of the game. However, one thing eluded him. He never could figure out how England could lose all those wickets with all those people watching. And where in the world were they losing those wickets? The only thing for which I seriously fault Bryson is his writing style. He writes brilliantly, and his turns of phrase are witty to a fault. What I object to is that Bryson has used up most of the finest turns of phrase, leaving scraps for people like me. +In today’s post there is a real mix of photos. 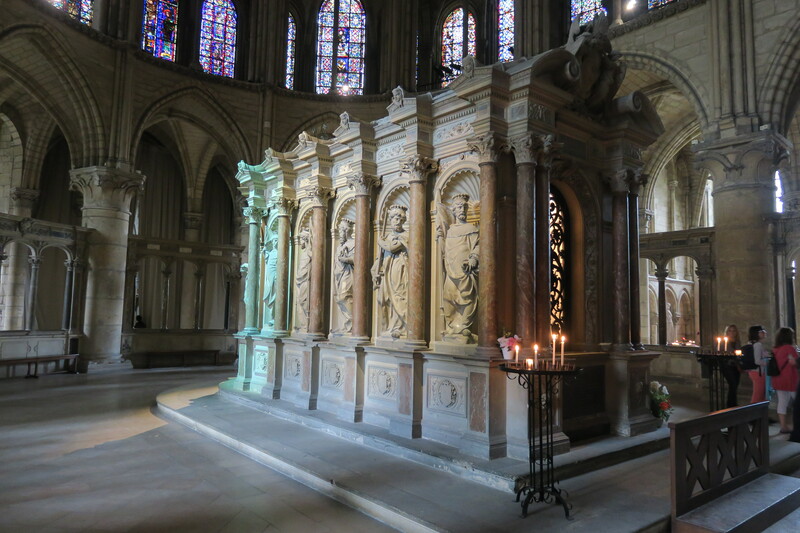 At top is the shrine of Saint Remi, in the abbey church of Saint Remi in Reims. 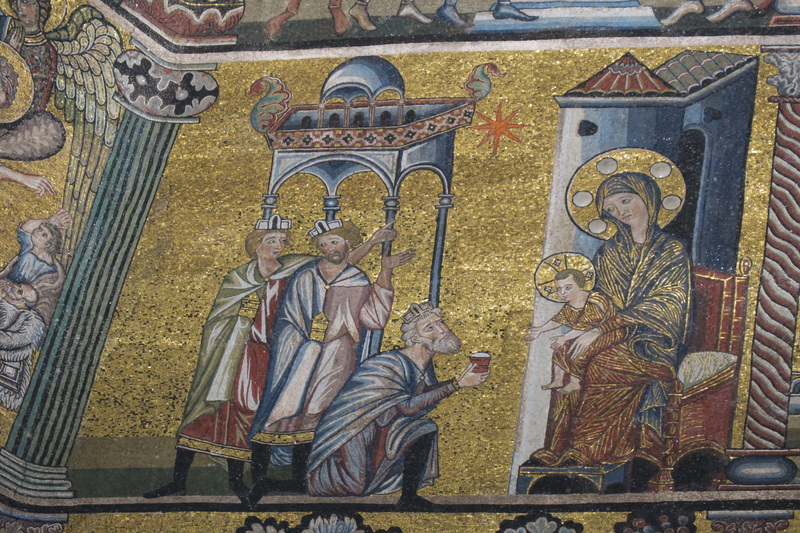 It was he who baptised Clovis, king of the Franks. 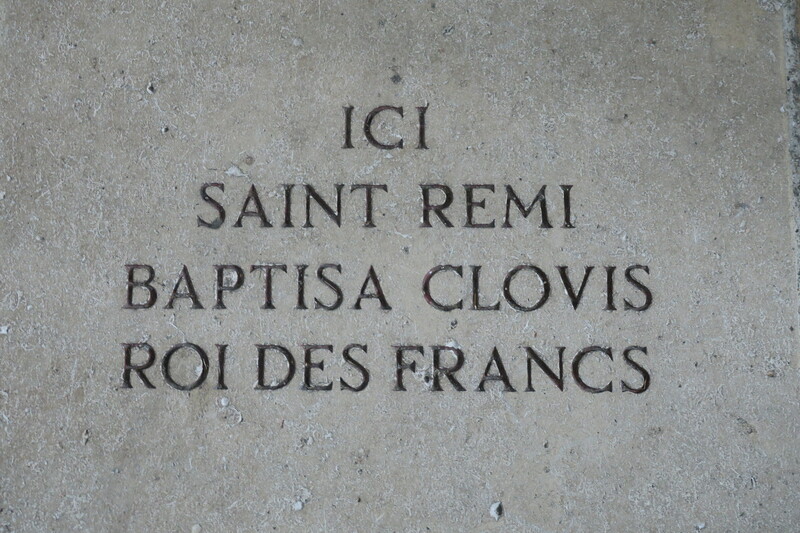 A simple inscription in the floor of the cathedral of Reims marks the spot of the baptism, and it is located quite near the grand pulpit in the cathedral. 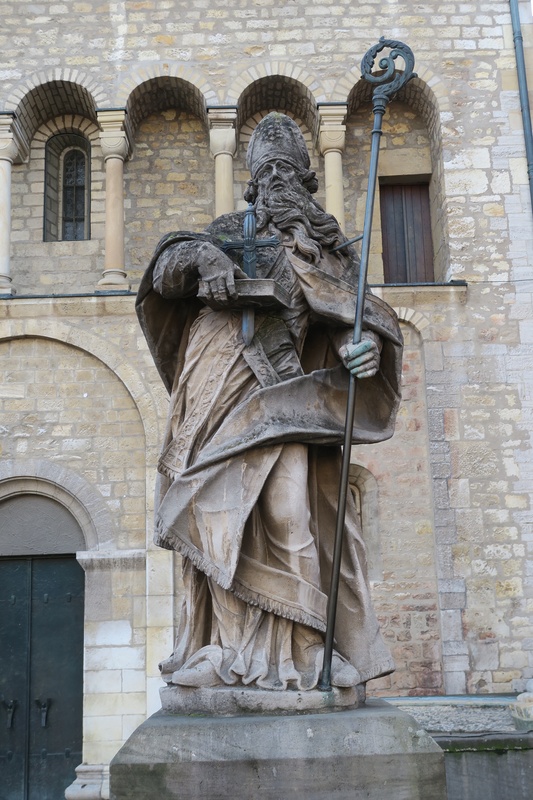 The statue further down the page is of Saint Boniface, missionary to the German people. It stands outside the cathedral of Mainz in Germany. 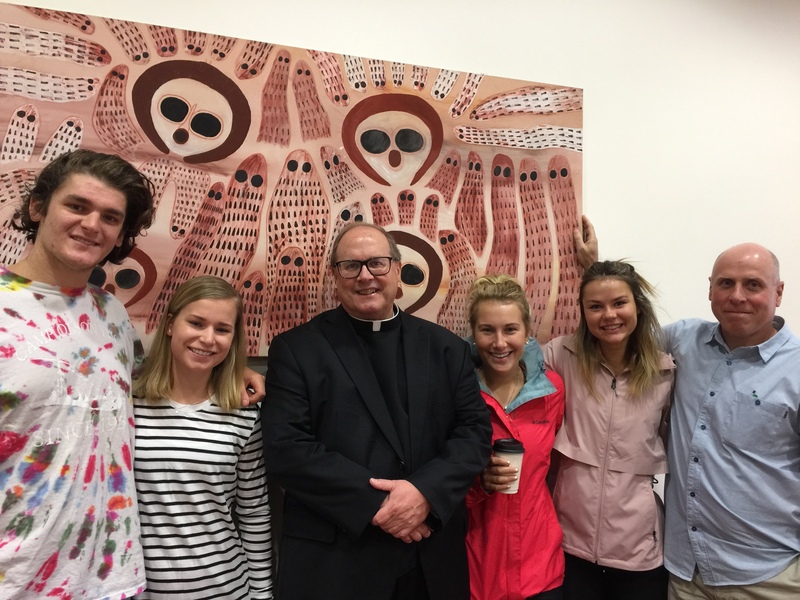 Next is a photo of me with students and one faculty member from our school, standing in front of an acrylic by Western Australian artist Joan Rastus. At bottom is a street scene from Fremantle, complete with an ingenious pattern that has been painted onto the walks and buildings in the city. With the hindsight of Easter it’s a bit of a stretch to believe that Peter in the Gospels is the very same Peter whom we read about in the Acts of the Apostles. After all, as a disciple Peter had had his doubts about Jesus. Then came his denial of Jesus three times on the eve of the crucifixion. Finally, almost miraculously, Peter seemed to mature as an entirely different person in the Acts of the Apostles. In Acts Peter does not hesitate to confess his faith in Jesus. He becomes a take-charge sort of guy. He heals; he preaches; and he’s not afraid to go out on a limb and lead the followers of Jesus far beyond the Jewish customs that had tethered them to the temple and synagogue all of their lives. In short, he and the disciples gradually create a church. And we’re left to wonder where all that gumption came from. What could have transformed this timid soul into a bold prophet? 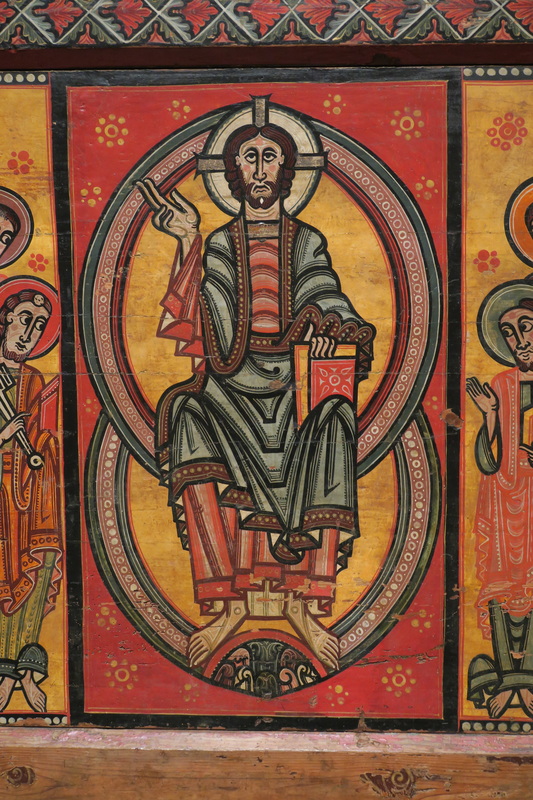 We’re now a few days into the Easter season, and the references to Peter in the Acts of the Apostles serve as a reminder of the power of the risen Jesus. The risen Lord transformed the disciples, and if he could do that with such a motley crew, then he’s probably capable of doing the same with you and me. Frankly, I wouldn’t put it past him, because you and I are the very people whom the Lord came to save. It’s entirely possible that by now our only souvenir from Holy Week is the memory of some beautiful and sometimes overly-long liturgies. But it’s also possible to detect the hand of God at work, gently shaping and transforming us. I for one would be naturally suspicious if Jesus were to turn my life upside-down, inside-out, in an instant. He may have done that with Peter, or the writer of Acts may have instead compressed Peter’s long spiritual journey into a matter of a few days. But whatever the Lord may have done with Peter, he’s taken an entirely different approach with me. I for one know for a fact that the Lord has taken his own sweet time with me. God’s given me length of years precisely for that reason. The same may be true for you as well. If so, you’ve probably noticed how gradual and tentative your journey to the Lord has been. And you’ve probably wondered why the Lord has not blesssed you with the audicity that Peter had. Well, one reason for that is that the Lord deals with each of us differently. But for most of us there is an air of deliberate calculation about it. We may resist on certain days, but the Lord continues to chip away and sculpt and polish us into his good and faithful servants. That, I think, shows just how persuasive the risen Lord can be. In my own humble opinion God generally prefers not to bowl most of us over or hurl us to the ground. That’s a lot of work for God, and besides, it’s the sort of stuff God reserves for those who are particularly stubborn. As for me, I suspect, Jesus prefers to be patient and kind, and he draws me to himself in his own good time. For that I am grateful. That’s why I think it’s a good idea in this Easter season to pray that the Lord, who has begun such good work in us, bring it to completion. But there’s no rush. +During the past week I taught two classes in the novitiate. 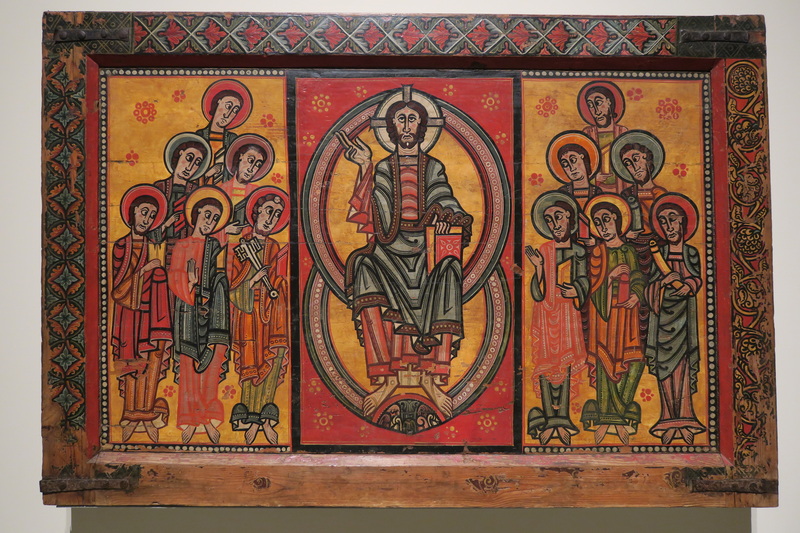 My main theme was the monastic tradition of the abbey of Cluny, which in time had some 350 priories within its orbit. 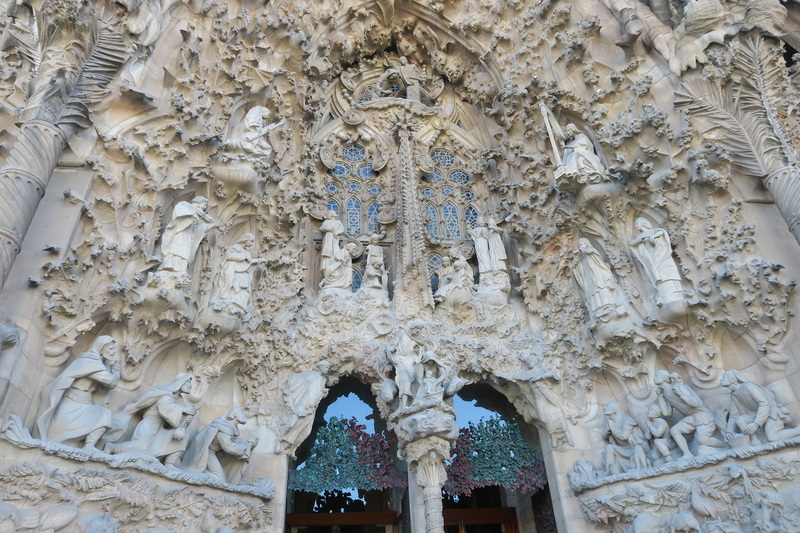 It was a major booster of the pilgrimage to Santiago Compostela, and it built priories and hostels along the Camino. 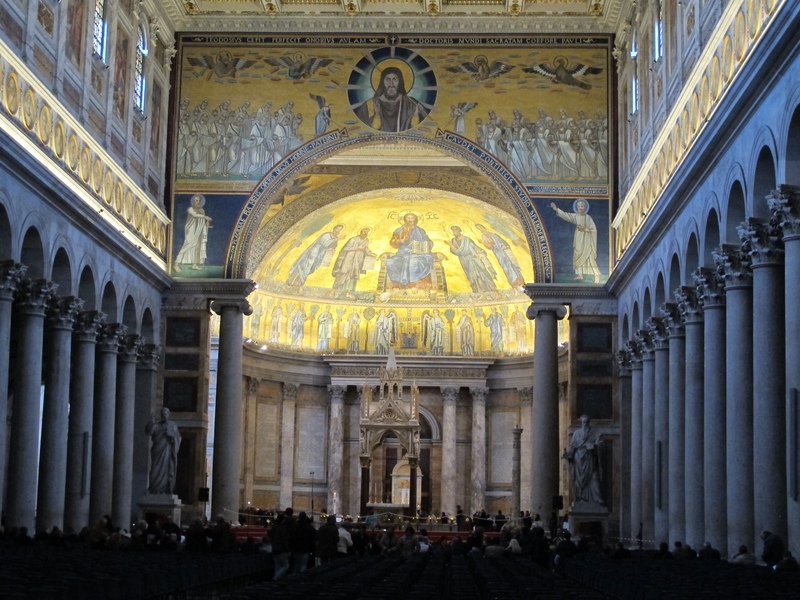 Its 12th-century church was the largest in Western Europe, and it remained so until the construction of the new St. Peter’s in Rome in the 16th century — the one we see today. 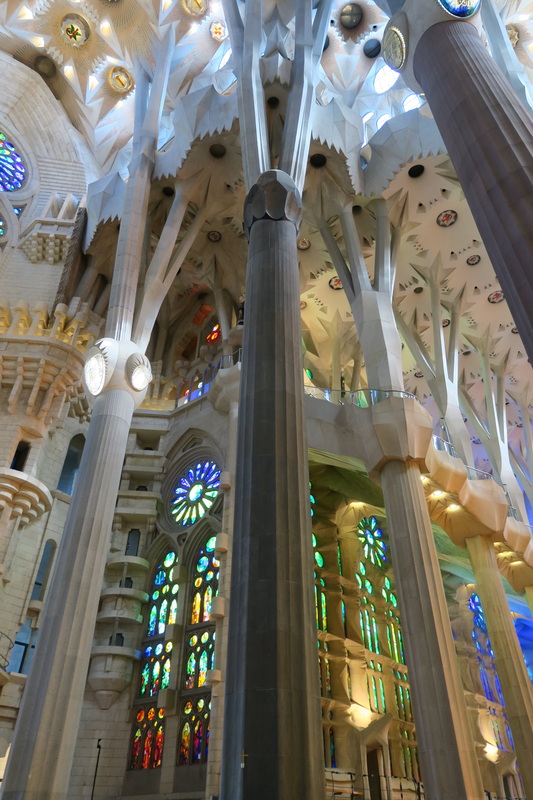 In the middle of the design of St. Peter’s the architect had to add fifty feet just to make sure it was longer than the abbey church at Cluny. Cluny is in Burgundy. It’s a place I’ve always wanted to visit, but as of now it is still on my bucket list. +From 3-8 April I gave a private retreat to a member of the Federal Association of Order of Malta from Chicago, who is preparing to make his Promise of Obedience in May during the Order’s regular pilgrimage to Lourdes. It was his first visit to Saint John’s, where he stayed in the guesthouse. +On April 5th I gave a presentation on The Saint John’s Bible to a group that included the president, some faculty and staff from Caldwell University, in New Jersey. They stayed in the guesthouse at Saint John’s, and among other things I toured them through the new Bible gallery in Alcuin Library. +On April 5th I presided at the abbey Mass. Today’s post is an expansion of the sermon that I gave that day. +On April 6th I hosted Paul and Laura, graduates of our school, at whose wedding I will preside in the abbey church at Saint John’s this summer. I don’t get to preside at many weddings, and so this will be a treat for me. +Today, April 9th, is the feast of the Annunciation. It’s a reminder that Christmas is upon us, at least in nine months, and we should prepare. 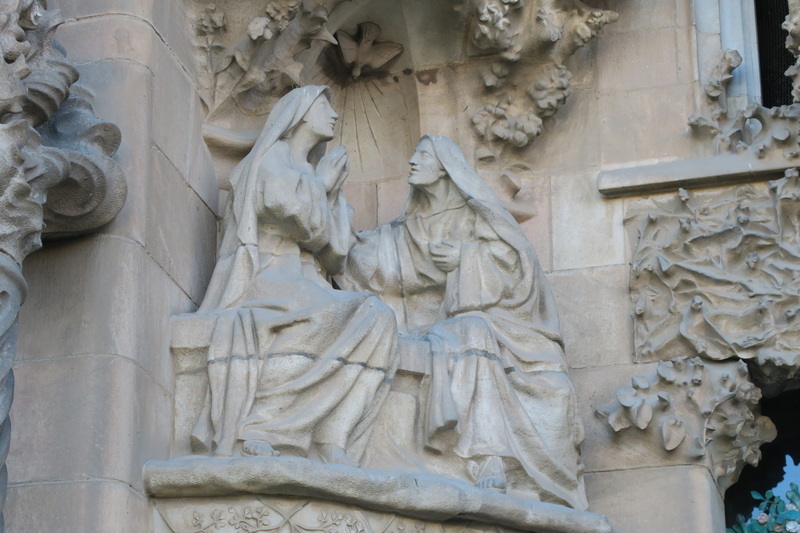 The photos in today’s post are from the church of Sagrada Familia in Barcelona, and the uppermost is of the Annunciation. 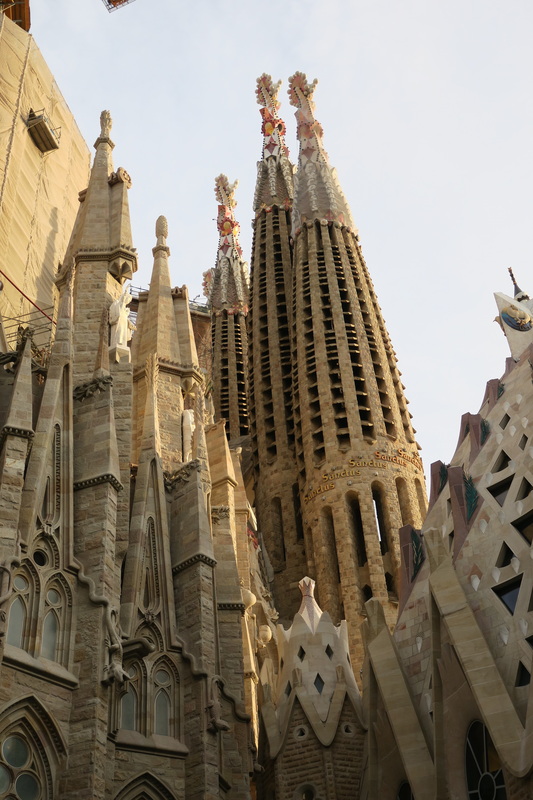 If you’ve not seen Sagrada Familia, you definitely should put it on your bucket list.